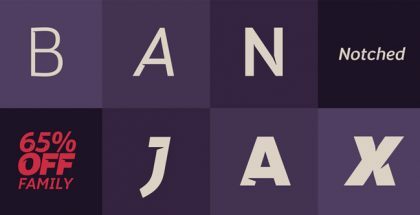 True North font by Cindy Kinash and Charles Gibbons (Cultivated Mind type foundry) is a whole vintage-by-spirit type system for complete typography design. 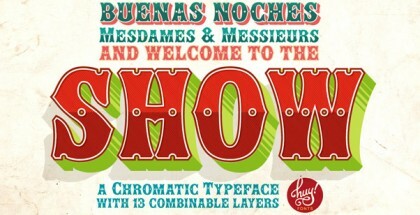 The typeface have handmade, vivid and retro look, full of details and subtle effects. 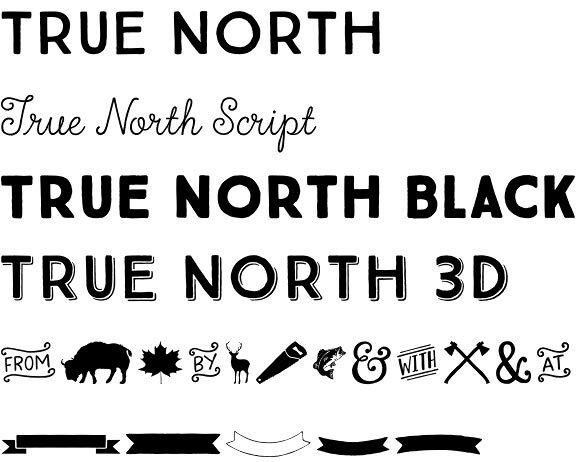 True North family was born for headlines, posters, labels, signage and package design in vintage style. 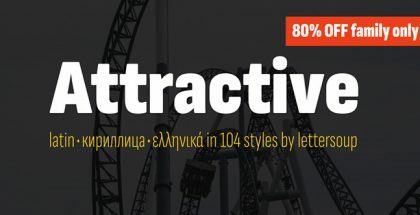 The big True North font family comes in 16 variations in 5 main Sans Serif styles (Regular, Dots, Inline, 3D, and Rough), plus monoline script, Labels, Extras and Banners, making a total of 20 variations at your disposal for layering, combining, integration, etc. creative activities that could occurred to you. 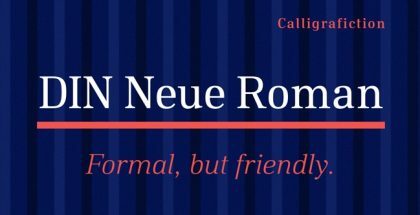 True North Script is both playful and elegant, fully-connected mono-linear script which creates nice counterpoint to the geometric shapes of the Sans Serif letters. Extras include wild animals, catchwords, numbers, symbols, tools, maple leaves and trees, adding finishing touches to the overall picture. Cultivated Mind is a Canadian type foundry, based in Vancouver. 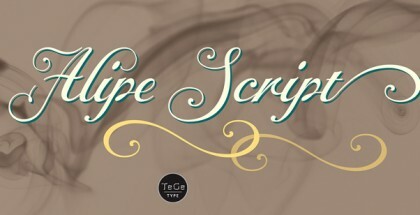 Their typefaces are unique, handwritten and artistic. See also Ciao Bella font, La Chic font.